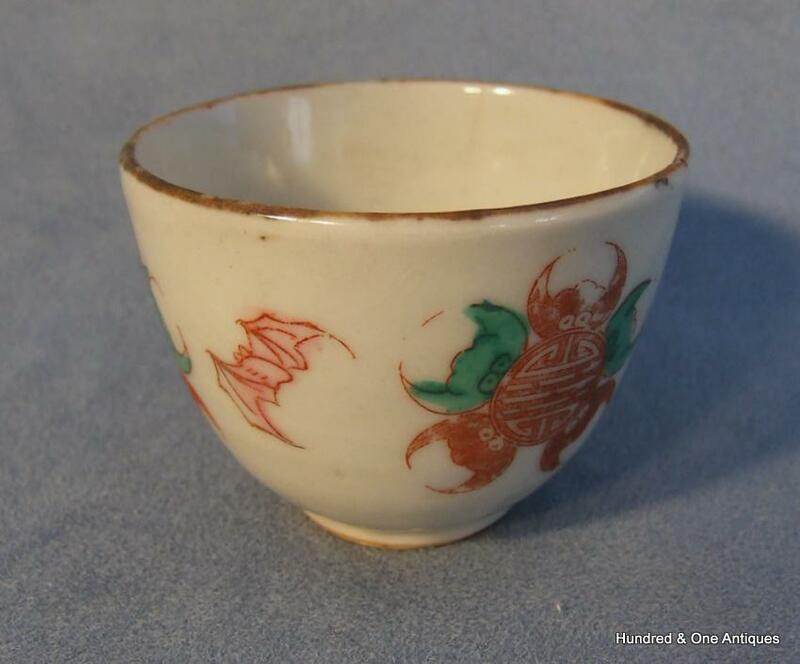 This antique Chinese porcelain tea cup is skillfully hand painted with bat motifs and Chinese calligraphy. 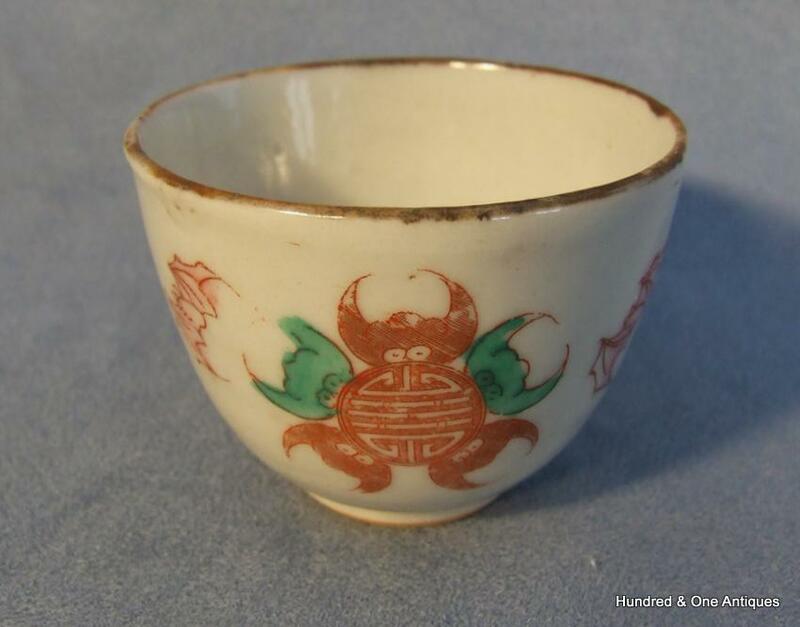 It dates to Qing Dynasty 18th -19th century. MEASUREMENTS: 5.3 cm ( 2 1/8 in ) tall. 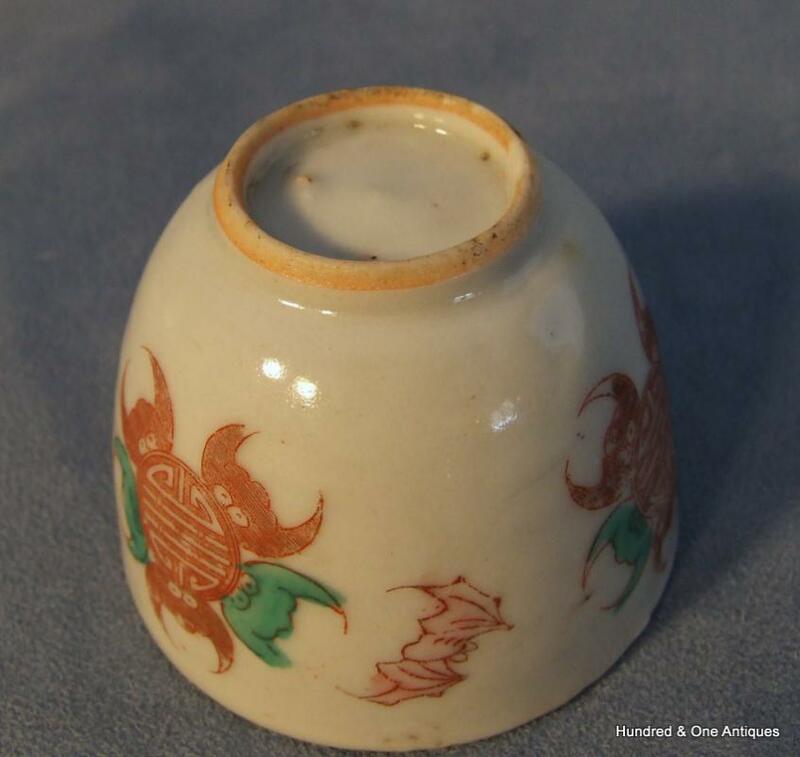 CONDITION: In good condition with nice showing its age and usage patina.